Casting outfits can be tricky. Choices and restrictions abound at once. A client has to be able to see your figure, but also your personal style. Your brand as a model must be clearly articulated, but you also have to be able to navigate through Manhattan quickly, comfortably, and without sweating through your crop top. As part of our Spring/Summer 2015 fashion month initiative, we invited our readers to submit casting selfies. We'll keep adding as the month progresses, so snap yours! It's simple: take a selfie in your casting outfit and post it to Instagram with the hashtag #castingselfie and tag us, @thebusinessmodel. What is a mother agent? What are net earnings? The TBM Glossary is a guide for clarifying industry terminology. 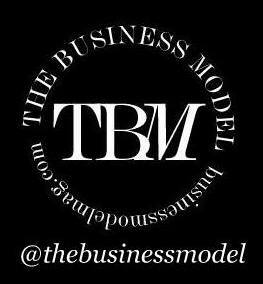 If there are any terms you would like defined or feel could be useful for other models to know, e-mail us at info(at)businessmodelmag(dot)com. Not sure what to get your model friend or loved one this holiday season? We're here to help make deciding on the perfect gift a little bit easier. Flip through our 2013 Holiday Gift Guide for a list of ideas we know they'll love! In most markets, castings are a simple process: you go to the casting location, show your book, take some snapshots, and go on your way. In China, Japan, and Taiwan, castings work a little differently. Along with the usual process, models are asked to do a series of poses until the client or their booker says, "stop." If this is your first trip overseas, or first trip to Asia, it's perfectly natural to be nervous! Even some seasoned veterans still find it embarrassing or struggle with their posing. Although the casting process may require some adjusting on your part, once you get the hang of the posing you'll be fine. Even though travelling to to China, Japan, or Taiwan may seem daunting, The Business Model is here to help make things easier for you so that you know what to expect before your next trip overseas. Let's say you go on a contract to Tokyo for two months (60 days), you work well, and end up leaving with $10,000USD (NET) in your pocket. As many young people tend to do, they spend a lot of it right away on clothes, gadgets, vacations, and leave whatever is left to sit in their chequing account. Although many models start young, it's never too early to start saving up for a bright future.